Nordic Ventures is a spring series provided by the Northwest Danish Association. The series is held at the Seattle Danish Center, typically on the fourth Thursday evening of each month, February through May. The first session of the 2017 Nordic Ventures series will feature an exhibition on the rescue of the Jews of Denmark during World War II accompanied by a presentation on the occupation of Denmark by Dr. Nathaniel Hong. Dr. Hong will discuss the multiple aspects of the German occupation of Denmark during WWII as well as the underground press and the development of the Danish Resistance. He has written two books on this period, Occupied: Denmark’s Adaptation and Resistance to German Occupation (1940-1945) and Sparks of Resistance: The Illegal Press in German Occupied Denmark, April 1940 – August 1943. Dr. Hong conducted research for these books at the Museum of Danish Resistance, the Danish National Archive, the Royal Library, and other occupation history archives around Denmark, during several extended stays in Denmark. “Hygge” has over the last few years taken the world by storm! In this talk visiting Danish Lecturer from the Scandinavian Studies Department at the University of Washington, Kristian Næsby, will take a good hard look at the term that was shortlisted for word of the year in 2016. 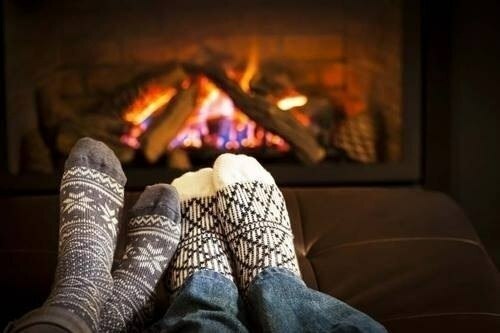 What is “hygge” actually? Where does the sudden craze for “hygge” around the world come from? And is it all good or are there potential dangers in the longing for a more “hyggelig” life? Henry Geijsbeek will be presenting the history of the Royal Danish Air Force (Flyvevåbent). Learn of Denmark’s early adaptation of the airplane, the re-building of the air force in the post WWll/cold-war era and the varied missions that they have fulfilled. Ranging from surveying/patrolling of Greenland and its waters to humanitarian support around the globe. This is the second in a series of Danish Aviation related presentations that Henry has given at the NWDA. The topic combines his Danish background and aviation interest. “Ethics” and “Common sense” can still be found in the dictionary but are strangely elusive as useful concepts in modern life. This presentation will attempt to point to many of the conflicting and at times divisive practices, which seem to have removed the theories of ethics and common sense from public and private discourse. As someone who grew up in a different culture and has spent a life time traveling the world and learning and reading about how other societies approach life and its challenges, Claus Windelev saw a possibility of using “best practices” from different cultures and civilizations for improving daily life also here in the U.S. Lately, with the apparent breakdown of civil discourse and the adoption of an “everything goes” mentality there is the rising danger, that we would no longer have the collective stamina to tackle the future problems as a nation. The fissures of this great nation with its hardliners and distaste for compromise and cooperation could lead to serious national dysfunction. It is the presenter’s hope that a healthy debate will ensue thus resulting in a greater awareness of the importance of ethics and common sense in our daily lives. Claus has published two books on this subject matter: Common Sense: An Outsider’s Look From the Inside and Ethics: For You (and the Rest of the World). In Spring 2013, based out of the small settlements of Niaqornat and Kullorsuaq, expeditionary artist Maria Coryell-Martin accompanied scientist Dr. Kristin Laidre onto the pack ice of Baffin Bay. Dr. Laidre and colleagues are investigating the effects of sea ice loss on narwhals and polar bears, iconic species that are highly adapted to the extreme Arctic environment and vulnerable to climate change. Coryell-Martin worked alongside the scientists as they recorded data on the health and movements of narwhals and polar bears, creating ink and watercolor sketches, as well as multimedia recordings. Following the tradition of artists working with early explorers, her work illustrates the environment and scientific process with a human touch. Denmark has a distinct color pallet with its rolling green countryside, blue skies, warm and cozy homes, and of course, the ever present Dannebrog. Dave Hoerlein from Rick Steves’ Europe studied urban design at the Royal Academy in Copenhagen and will talk about the colors of Denmark as represented in design, artwork, and architecture. Dr. Fahrer will review the history and significance of Beowulf, an Old English epic poem that is considered one of the most important works of Old English literature. Written in England sometime between the 8th and 11th centuries, its author was an anonymous Anglo-Saxon poet. Set in Scandinavia, Beowulf features Beowulf, a hero of the Geats, who comes to the aid of Hrothgar, King of the Danes, under attack by the monster Grendel. The poem was not studied until the 18th century when it was first translated into Latin in 1815 and then into Danish, the first modern language translation, by N.F.S. Grundtvig in 1820. Dr. Fahrer will lead a group discussion interspersed with reading sections of Beowulf from the translation by Irish poet, Seamus Heaney. Heaney’s translationof Beowulf includes the original Old English Anglo-Saxon text and Heaney’s translation into modern English. In addition to readings from Beowulf, there will also be a comparison with other translations including that done by J.R.R. Tolkien. The history and evolution of Scandinavian Airlines or SAS, previously Scandinavian Airlines System, will be discussed within the larger context of Danish and Scandinavian aviation. SAS was founded in 1946 and is the flagship carrier for Denmark, Norway, and Sweden. SAS is the largest airline in Scandinavia. SAS was the primary carrier for travelers from Seattle to Scandinavia for many years and still operates from the U.S., although they no longer fly into Seattle. SAS was an innovator in transpolar routes and continues to be a leader in travel to the Scandinavian countries. Henry Geijsbeek will speak about Danish aviation pioneer, Jacob Christian Hansen Ellehammer (1871 –1946). Jacob Ellehammer was born in Bakkebølle, Denmark. Ellehammer established his own company in Copenhagen in 1898, producing cigarette machines, beverage machines and other electronic machinery. In 1904 he produced his first motorcycle, the Elleham motocycle after which he built the world’s first aircooled radial engine, a three-cylinder engine, which he used as the basis for a more powerful five-cylinder model in 1907. In 1905 he constructed a monoplane and the following year a ‘semi-biplane’. Ellehammer’s later inventions included a successful triplane and helicopter as well as a convertible car/plane. those who chose to leave. Stay up to date on this series via our e-bulletin.